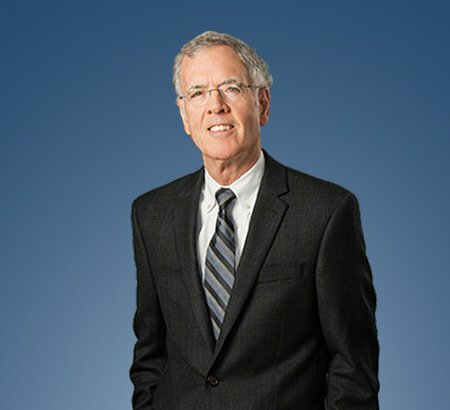 Roger L. Miller practices in the areas of estate planning and probate, banking, real estate, corporation and partnership law as well as business organization and operation. Mr. Miller is an of counsel attorney in the Findlay office of Eastman & Smith. He has been a member of the Findlay legal community for over 40 years. Prior to attending law school, Mr. Miller served in the U.S. Army Military Intelligence. He earned his law degree from the University of Wisconsin and his undergraduate degree from Miami University (Ohio). Mr. Miller is a member of the Findlay-Hancock County, Ohio State and Wisconsin State Bar Associations. Additionally he is a former president of the Findlay Rotary Club and the Findlay-Hancock County Bar Association. Mr. Miller serves as secretary of the Blanchard Valley Health Foundation Board, chair of the Hancock County Public Defender Commission and president of the Findlay-Hancock County Public Library Board of Trustees. The AV rated attorney also was the first recipient of the Jackson E. Betts Professionalism Award, an award given by the Findlay-Hancock County Bar Association for attorneys who demonstrate a commitment to the practice of law and professionalism.